If you’ve seen me sharing my daily outfit photos on Instagram stories, you’ve likely seen my obsession with cute hoop earrings. They seriously make every outfit a little bit cooler. They’re a timeless yet modern take on the big earring trend that’s been around a few seasons now and I can’t stop wearing them. 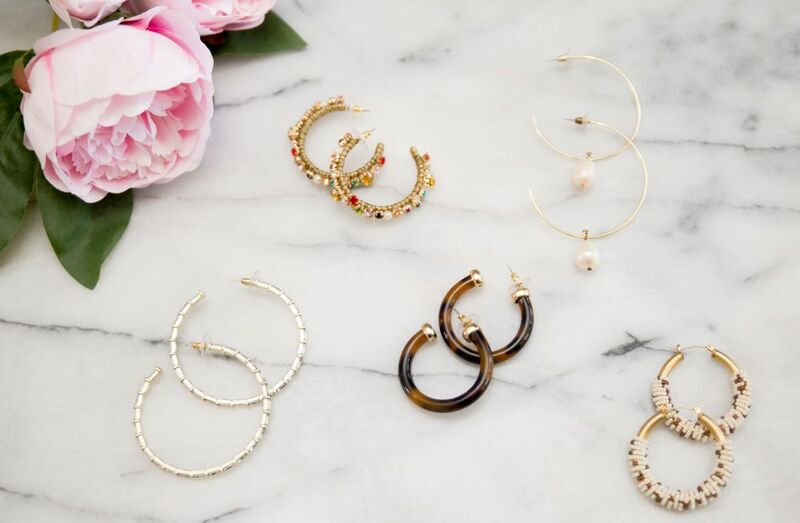 When it comes to hoop earrings, you’ll find everything from huggies (tiny earrings that hug your ears) to major statements that I personally would be afraid would rip my ears, lol. I’m very mindful of wearing light-weight earrings. If you’re new to the hoop trend, consider starting with a gold hoop; it’s the standard and an eternal classic. If you want to mix it up, I’m so into rainbow hoops like this (seen here) or this ($8!) that make any outfit with a solid color dress or top pop. As you can see, I have a growing collection of hoop earrings — and even recently added this beautiful, under $40 light-weight gold Lilly Pulitzer hoop to the mix (seen here); they’re perfect when you want a statement hoop without major bling like my other favorite, this Kendra Scott pair. Want to save this cute hoop earrings post? Pin this image below (and ps: I’m wearing this pair and this is nearly identical). Loving this cute hoop earrings feature? 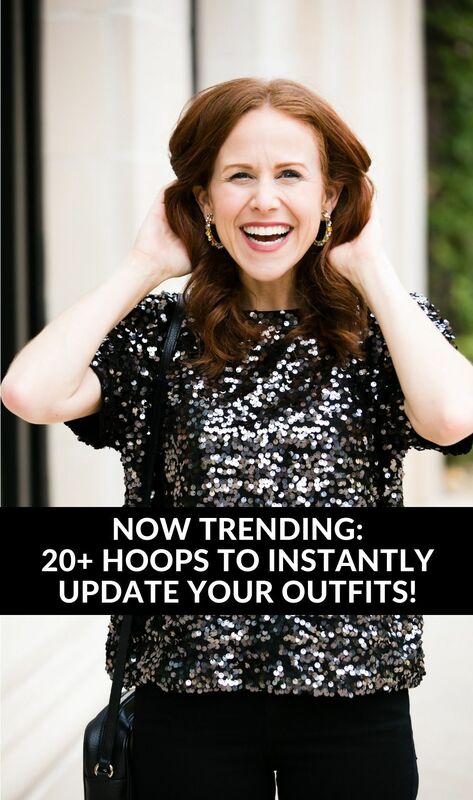 Take a look here for more of my style favorites! 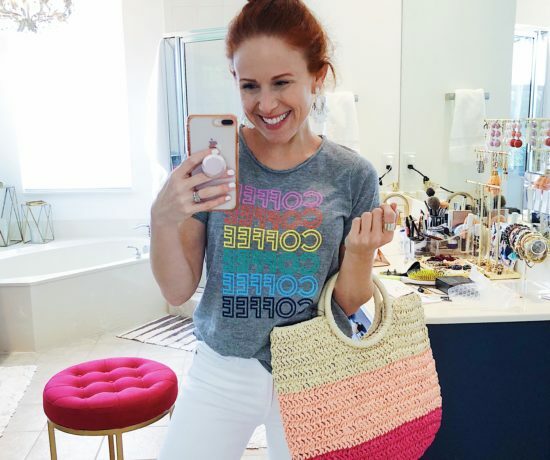 Yes – so glad that hoops are making a comeback – I’m loving that rainbow pair! !